Prepare to be introduced to the city of Eugene, Oregon on this guided, 3.5-hour tour. Enjoy a well-balanced overview of both the downtown and surrounding area's history, culture, current events, and cultural diversity. Travel through the various parts of the city from Downtown Eugene to the University of Oregon. 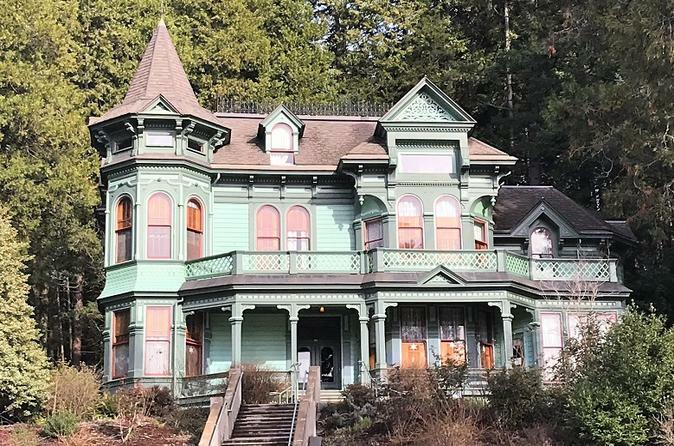 Visit local neighborhoods and enjoy all the must-see attractions including the Shelton McMurphey Johnson House, Skinner's Butte, Owen Rose Garden, Cascades Raptor Center, the Museum of Natural and Cultural History, and the University of Oregon and Hayward Field. After being picked up at one of our three designated pick-up locations, travel through various parts of the "Emerald City' — from downtown to the Whiteaker Neighborhood, plus the University of Oregon. Visit all the must-see attractions, including the Cascade Raptor Center, and learn about the history of Eugene, and the interesting culture that exists here. Next we will drive along trendy downtown Broadway Street which was Eugene’s original outdoor walking mall. This street has been converted to a car friendly area allowing new business to thrive and showcase beautiful storefronts, fun eateries and local popular hangout with street entertainment, culture and more. Not to mention Portland’s favorite donut shop, Voodoo Donuts. No visit to Eugene would be complete without stopping at the University of Oregon Campus. While here we will visit Hayward Field and on Saturdays and Sundays we will also stop at the Museum of Natural and Cultural History where you can delve into Oregon’s story, from the archaeology of the first Americans to the dynamic cultures of today’s tribes. The tour ends with drop-off at one of our three designated pick-up/drop-off locations.